From bestselling author Kaitlyn Davis comes a fantasy adventure perfect for fans of Throne of Glass, Graceling, and Game of Thrones. In the land of Ourthuro, cruelty is a way of life. The king rules with an iron fist and no one dare defy him—no one except his daughter. Princess Leena is keeping a dangerous secret, she has fallen in love with a soldier and it would mean both of their lives if her father ever discovered their affair. But Leena will risk it all to be with the man she loves—her heart, her life, her freedom. And when her brother's birthday celebration takes a dangerous turn, Leena is forced to make a decision that will change the fate of her nation and eventually the world. 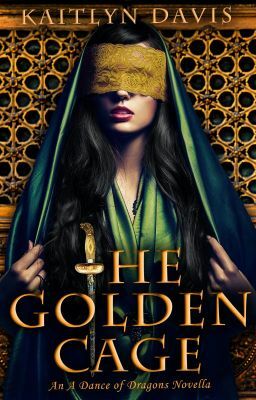 The Golden Cage is a prequel novella to The Shadow Soul (A Dance of Dragons #1)—available now!